As your loved one gets older, it may become unsafe for them to live alone, and soon you must make the decision to move them to a safer environment, usually either an assisted living facility or into a home with family members. Moving is a stressful task for anyone, but moving day can be especially tough for seniors. The idea of moving somewhere new can bring several waves of emotions for seniors: excitement, sadness, anticipation, uncertainty. They may fear losing their independence or may feel anxious about being in an unfamiliar place, even if they’re moving in with family. If they’re moving into assisted living, they may fear being abandoned by family members. 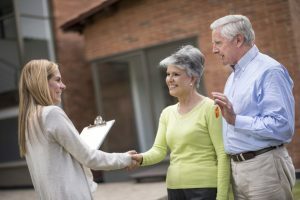 In any case, moving your senior is a delicate situation that requires the utmost care, and you must choose a moving company with these qualities. 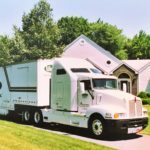 Woodland Moving and Warehouse is a full-service moving company in West Hartford that can help make your senior’s move as stress-free and relaxing as possible. Our compassionate, certified team members are completely dedicated to your senior’s needs and know how to take the extra care that moving your loved one requires. 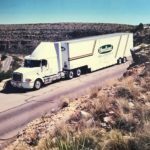 Individualized Attention When you choose Woodland Moving and Warehouse, you’ll enjoy the personal service of a team completely dedicated to your needs. Our senior relocation services are designed to make your move seamless and stress free. You can trust Woodland Moving and Warehouse for your senior relocation needs. Senior moving requires extra care and individualized attention, and our expert movers have designed a moving process that makes the transition to their new home as easy as possible. Free Estimate – We begin by providing you with a free, no-obligation estimate to assess what moving services your senior requires and how much the move will cost you. We use your moving size, distance, date, and more to come up with a fair price for you. Assigning a Move Consultant – After you’ve agreed to work with us, we assign you and your senior one of our expert and professional Move Consultants. This individual is the one who will guide you through the entire moving process as smoothly as possible. All of our Move Consultants are compassionate and know how to serve your senior’s needs and address their concerns at every step of the way. Packing – Packing for a senior move sometimes requires additional attention and steps than other moves. We can help you and your senior sort through your senior’s belongings to decide what can be transported and what must go. We will happily provide special crates to protect fragile and valuable items to ensure your senior’s belongings stay safe. Our team will disassemble furniture, then reassemble it when the move is complete. We are dedicated to keeping your senior’s valuable belongings safe and protected during the moving process. 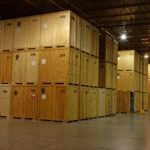 Item Storage – We can offer both long- and short-term storage in our warehouses for any of your loved one’s belongings that may need to be stored during the moving process. Our warehouses are secure and climate-controlled, so you can rest easy knowing that your senior’s household goods are kept safe during the move. Moving – On the day of the move, we will carefully load your senior’s boxed goods and furniture onto our trucks and prepare them for the move to their new location. Our expert movers understand how valuable your loved one’s household goods are and will keep them safe during the trip. Unpacking – Once your items safely arrive at your senior’s new location, our team will carefully unload the boxes. We will unpack boxes and reassemble your senior’s furniture to get them set up as quickly as possible. Our team is happy to listen to your senior’s concerns and specifications for unpacking and will follow all given instructions to ensure their new home is set up exactly how they like.